Tomorrow I will make my own breakfast, lunch, and dinner. I’ll do dishes, clean up, and likely put away laundry. There won’t be gifts or accolades. I have no spouse and my children are too young to do much for me. It hasn’t been easy, but I’ve arrived at the place I always wanted to be. I’m a mother to 4 exceptional children. Two are completely mine. One is in my care possibly temporarily. The newest addition will soon be completely mine. April 5 I got the long awaited call saying I’d been selected to adopt a little boy. After a transition period, he officially joined us on April 25. In about 6mths the adoption will be finalized. Unlike the process with Raine and Athena, I’ve been informed I can’t post anything identifying about him until everything is completed in the courts. So, sadly I can’t share his cute little face yet. But will tell the story of how he came to join us in a future post. It’s a wonderful tale. I don’t really mind that my Mother’s Day will be filled with the usual mundane tasks. It’s a blessed reminder of the miraculous fact that I am a mother. Apparently it’s National Single Parent’s Day. I didn’t necessarily set out to become a single mom. But I’ve never feared the prospect. When God first spoke to me about adopting, He said I might do it alone. At the time I was 10yrs old. The only alone I could imagine was a husband dying or divorcing. So that’s the scenario I played out with my Barbie dolls. As a teenager, I felt more strongly that I would adopt before marrying. By then, outside the church, women were doing that. Then, I fell in love with someone who loved everything about me – including the crazy dream of adopting. At that point, adoption was still primarily done when you couldn’t have children of your own. Never was it the first choice. But I wanted it to be mine. Over the past decade, I’ve watched the church rise to embrace adoption as a calling. It’s a powerful testimony of Jesus choosing us as we choose to love the least of these among us. I tell my daughters that God knew I would be their mother – He made us for each other. “Then why didn’t He just give us to you at the beginning?” Raine often asks. Why didn’t He spare them the pain of beginning elsewhere under less than ideal circumstances? I don’t know. “Because He hoped things would be different. He wanted things to be good for you. He let your birth parents have a chance to work with Him. But He got me ready just in case,”is the answer I give her. When I finally felt ready to pursue fostering, a dear friend informed me that any children I cared for would be cursed by God. She told me I was going outside of His desire for family – a mother and father – and because I was defying divine design my children and I would live outside of God’s blessings. Her words stopped me in my tracks. Though I didn’t agree, I found myself blocked for several years as I processed that thought. My idea of fostering and adopting as a single woman was foreign to the circles I moved in. Most people didn’t take me seriously when I first started talking about it. But when I began moving towards it, I realized how opposed most people were. Because of that and other reasons, my relationship with that friend came to an end. I grieved for a long time while I continued to grieve the loss of the man I’d fallen in love with. For reasons I still can’t fully understand, that relationship exploded. Was it all for the best? I really don’t think so. But it’s how it worked out. There’s nothing I can do about my lost love. Believe me. And there’s nothing my girls can do about their ill-equipped birth parents. That’s just how it’s gone. We have to come to a place of acceptance. I didn’t intentionally set out to defy perception. God created me to be a mother. It’s in my DNA. “Mom” was my nickname as a teenager. That’s how everyone saw me becuase that’s who I am. Would it be better to have a husband walking along side me? No doubt. But I wasn’t willing to forfeit my calling when that opportunity didn’t come togehter. So, I have become a single mother. It may be more difficult than parenting with a partner. Since I’ve never had one, I can’t say for sure. I’ve been told that it is. I am only one person. That means that some of the kids have to wait for my attention sometimes. The dishes don’t always get done right away. Sometimes I run out patience. But, I think, that can be said of any parent – even when there are two. My children are blessed. They have one parent who loves them. They have one parent who always puts them first. They have one parent fully commited to raising them into the amazing women they’re meant to be. I am one person, it’s true. But I don’t see that as a disadvantage. My kids have one person completely devoted to them. And that counts for an awful lot. Are You Trying to be Nobody? That Saturday morning I was trying to be exceptionally cheerful. We were supposed to go out for breakfast with their birth grandmother and cousin. But she’d had to cancel. Friends we were supposed to visit a farm with that afternoon had also canceled. I was still planning to take the kids out for breakfast and to the farm, but Athena woke feeling unwell. So we were staying home. Our day went from being filled with excitement to very drab. I was making pancakes and trying to convince Raine it was all ok. The force in her voice gave the impression she didn’t much appreciate my attempt to be nobody. “I like being nobody. I like to do things that nobody else does. Sometimes it’s best to be nobody,” I answered. holes in the wall, I’ve been reorganizing and redecorating. Sometime ago a friend was overwhelmed by all my dishes. I have two complete formal sets and one partial along with three everyday sets. She suggested scaling back but at that point I wasn’t ready. Her encouraging words returned to me recently. 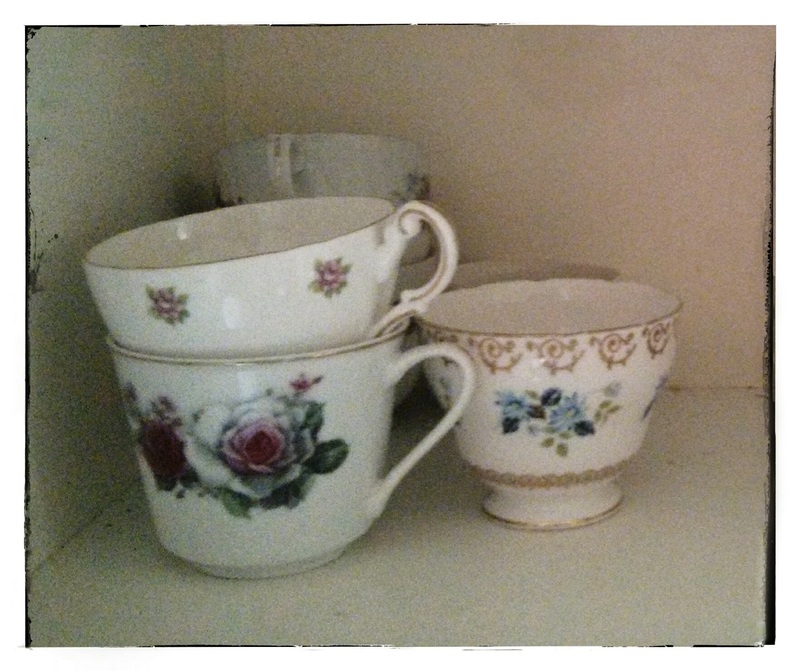 So I let go of my everyday dishes and replaced them with a partial set of formal china. The array of glass cups gave way to assorted tea cups. That’s what I was serving juice in on a very disappointing Saturday morning. The quest for individuality has always been a driving force in my life. It’s part of how God made me. Everything in me wants to go against the flow. The way I dress and decorate, the way our home is run, the choices I make tend to be counter-culture. I am praying other single, godly women step into adoption. In this area I don’t always want to be the only one. But for now, in my real-life world, I am. That’s ok. I don’t mind being a nobody.